The Sky Blue recently signed Cassidy Benintente to a national team replacement contract, while the Dash signed Australian defender Clare Polkinghorne. The National Women's Soccer League may have taken a break for international games but that did not stop teams from trying to improve themselves during that window. The Houston Dash and Sky Blue FC brought in defensive reinforcements as they look to push themselves up the standings. Sky Blue recently announced that Cassidy Benintente has been signed to a National Team replacement contract. Benintente is a defender from Jackson, New Jersey and a former member of the Sky Blue FC Development Academy partner PDA. While attending Rutgers University, she played alongside Sky Blue defender Erica Skroski and midfielder Madison Tiernan. The three made Rutgers history in 2015 after the team made it to the NCAA College Cup Final Four for the first time. The 23-year-old had a successful career with the Rutgers Scarlet Knights, playing 20 games her junior year and 25 her senior year. 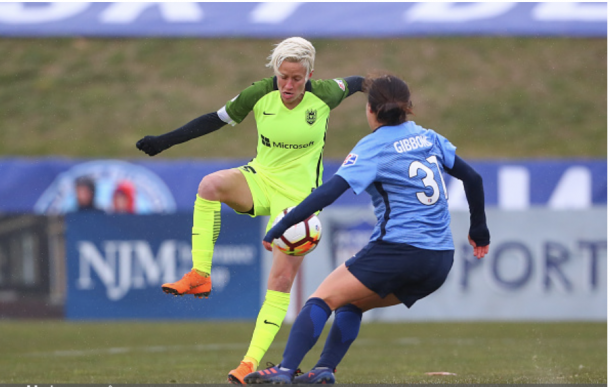 Moreover, the Sky Blue lost their most recent game against the Utah Royals after Sky Blue FC defender Mandy Freeman failed to clear a through ball from the Royals. The backline saw changes early in the game when Sky Blue defenseman Janine Beckie was played in the midfield. Fortunately, Beckie was successful in the midfield and assisted in the scoring of Sky Blue's one goal of the game. These trials among Sky Blue’s backline could have contributed to Sky Blue’s decision to sign another defenseman. The Houston Dash also recently signed defender Clare Polkinghorne from the Australian W-League’s Brisbane Roar FC, but still await her International Transfer Certificate. Polkinghorne is well known in Australian soccer, having earned 97 caps and represented the Matildas in the 2007 and 2011 FIFA World Cups. The 29-year-old made history in 2017 when she became the first W-League player to take the field in 100 regular season games. Although she is new to the Dash, the defender has previous experience with the NWSL; in 2015, Polkinghorne played in nine games for Portland Thorns FC. Conveniently, the Dash will play the Portland Thorns in their next game on June 22. After 12 games, the Dash is placed 7th with 3-4-5, while Sky Blue is placed 9th. Hopefully, the addition of new players to the roster will give these teams the opportunity to gain the most points out of every match and improve their position in the standings.